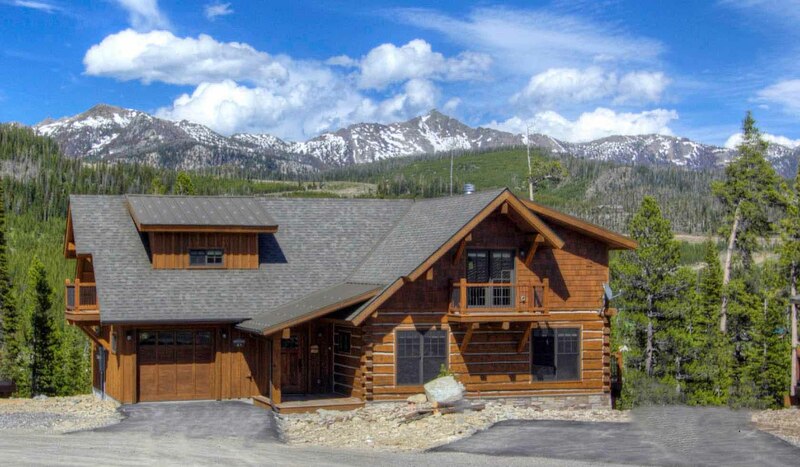 5 Bedrooms, 4 Bathrooms, Occupancy 14, Ski In and Ski Out Access This cabin features a custom furniture package meticulously chosen by one of the area's top designers. Beautiful cabinetry and high-end appliance package will make the kitchen a pleasure. A wonderful wrap around deck with privacy and gorgeous views will be the perfect spot to enjoy the beauty of Big Sky. This cabin is perfect for 2-3 families for a ski vacation or summer trip to Yellowstone. An abundance of amenities will make your vacation memorable from start to finish. This cabin is located in the newest and luxurious section of Powder Ridge in Mountain Village, Big Sky Resort. Less than 1 mile from the base area and activities and only 1 hour to Yellowstone National Park.